Sindyanna of Galilee promotes collaboration between Arabs and Jews to develop the fair trade olive sector. Sindyanna of Galilee brings Arab-Palestinian and Jewish women together to produce fair trade products such as their Za’atar olive oil, almonds and soaps. Hadas Lahav told Olive Oil Times the sales aim to strengthen the Arab-Palestinian economy and fund educational programs. The non-profit, run by all women, promotes “business for peace” as well as fair trade in Israel. 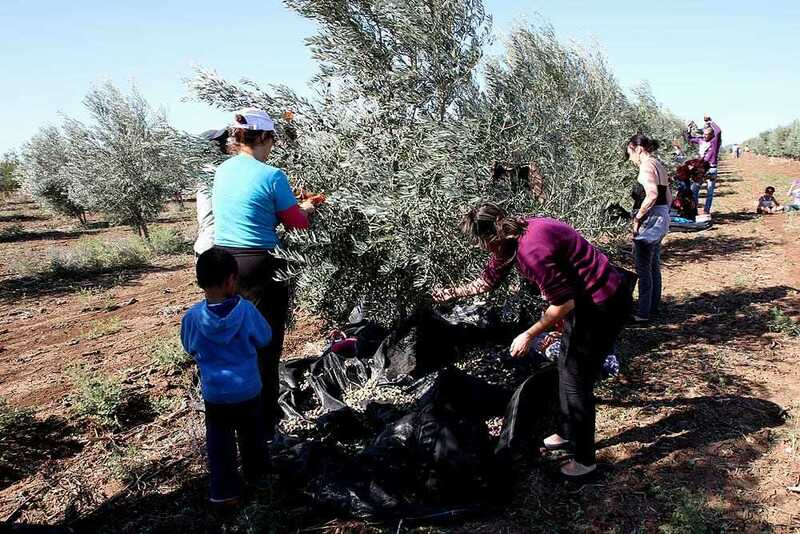 The team has already worked to transform large swaths of uncultivated land into flourishing olive groves. This has helped to further develop the olive industry among Arab farmers by assisting them in modernizing their land with sustainable cultivation methods and advanced techniques and irrigation. Around the same time as the fall olive harvest Jews celebrate Sukkot, a festivity that commemorates the season´s harvest and those who reap it. The Sindyanna team was preparing to host an activity during the holiday that would bring volunteers from all over Israel together. This year the event took place in the Scottish Grove that has been developed through a partnership with the landowners (the Abu Hatum family from Yafi’a) and the Church of Scotland. Volunteers not only were picking olives, they were helping to carry out a study. The varieties harvested during the event were planted as test plots by the Agricultural Research Organization at the Volcani Center. Yair Manni, an engineer from the Fruit Tree Sciences Department at ARO, is directing the work. The varieties were harvested separately so that experts could study the unique characteristics of each variety once their oil had been extracted at the Al-Sahel olive press in Dir Hana. “For the second year in a row, my 10-year-old son and I participated in the annual Sindyanna of Galilee volunteer harvest. Last year it was held at the Oasis Olive Grove that is located in Wadi Ara, and this year at the Scottish Grove near Nazareth. The day started early with friends of Sindyanna — children, parents and grandparents — driving in from all over Israel. We laid out nets under the trees, took up our rakes and started harvesting in the clear Galilean air. After a few hours of hard work with our pleasant co-workers, we ate a lovely homemade lunch and even got the chance to pickle a batch of olives that we could take home with us. With Arab and Jewish volunteers working together to pick fresh olives from the overflowing trees under a beautiful blue sky it was a unique experience for us — both as city folks doing physical work out in the countryside and, more importantly, as Jews laboring side by side with our Arab neighbors. Unfortunately, most children these days, even more so than their parents, don’t typically get much exposure to either so it was especially important to me that my son participate. Sindyanna has been in the Israeli markets for decades but has finally made its way this year to the shelves of American markets.